I wrote an article for The Guardian about the Top 10 Spaceships in Fiction. You can read it here. What do you think of my selection? Which ships would you have included? 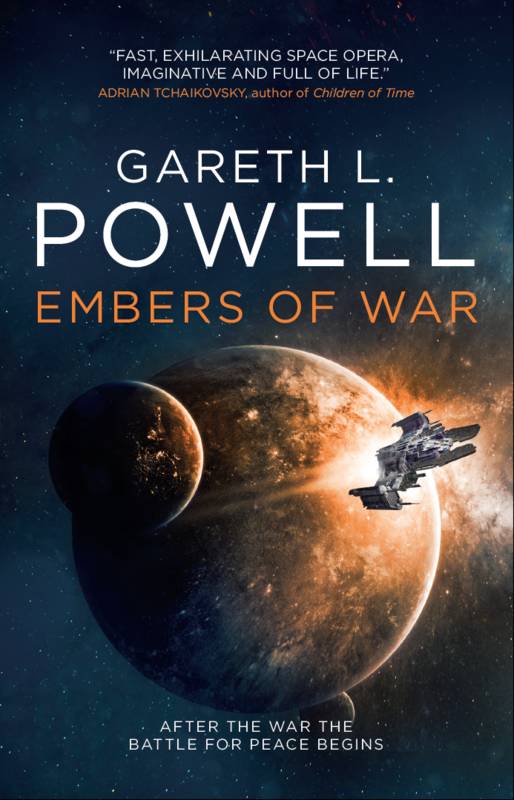 As you know, Embers of War hits the shelves on the 20th Feb. If you’d like me to sign a book or simply say hi in person, here’s a rundown of where I’ll be in February and March. 19 Feb: Waterstones Gower St. London – Join author EJ Swift and myself for readings, conversation and wine. 6:30pm. Admission £6/students £4 Book tickets here. 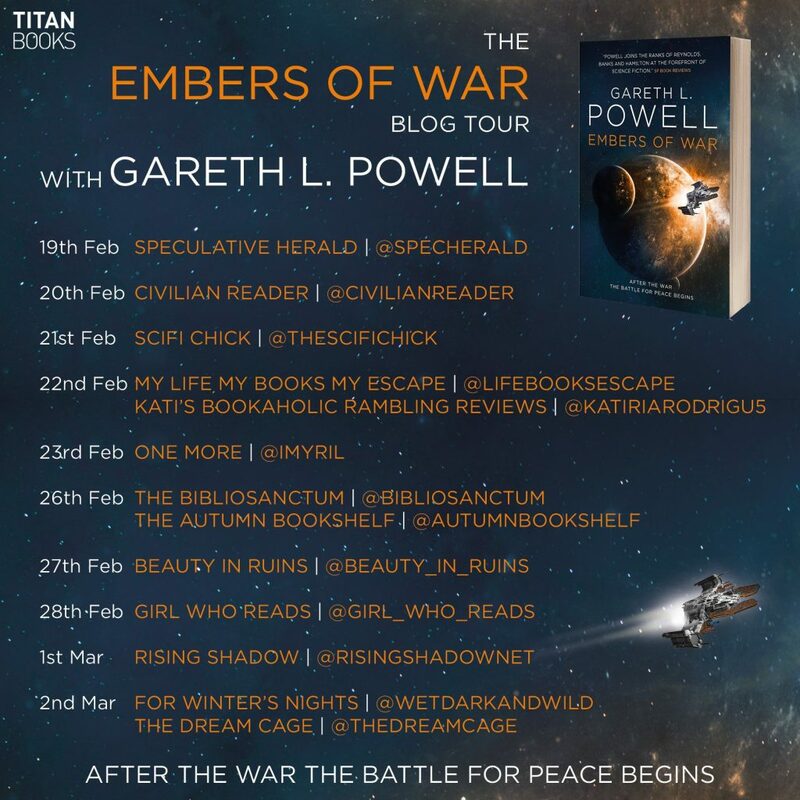 22 Feb: Forbidden Planet, Bristol – I will be signing copies of Embers of War from 6-7pm. Free to attend. Details here. 24 Feb: Foyles, Charing Cross Rd, London – I’ll be appearing at the first ever SFX Book Con alongside some other fantastic authors, such as Richard Morgan, Adrian Tchaikovsky, Peter F Hamilton, Claire North and Adam Roberts. Tickets £15. Details here. 22 Mar: Waterstones Bath – I will be appearing with MR Carey, the author of The Girl With All The Gifts. Free to attend. Details here. 30 Mar-1 Apr: Eastercon, Harrogate – The annual British Science Fiction convention. The programme hasn’t been released yet, so I don’t know what I’ll be doing while I’m there, but come over and say hello anyway. Details here. Membership required. Details here. There’s more to come. I’ll continue to update this post, so do check back! If you’re at a loose end waiting for the New Year, here are three of my short stories that can be read online for free. I hope you enjoy them. 2. Ride The Blue Horse : Two call centre employees try to make a big score in a world where the oil has run out (this story made the shortlist for the 2015 BSFA Awards). 3. Princess Blue Jean : Sleeping Beauty awakes with the recipe for an industrial revolution. The British Fantasy Society has reviewed ACK-ACK MACAQUE: THE COMPLETE TRILOGY. While each book’s plot reads like that of an action movie, there are many moments of genuine poignancy and sublime characterisation. The development of Ack Ack himself – from sweaty simian to someone much more – is particularly well done, but the other characters shine too, making them much more than a supporting cast. While his villains literally do want to take over the world, Powell ensures there’s a motivation behind it which pushes them beyond evil mastermind cliché. 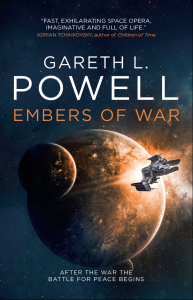 Like the best science-fiction, it can be read as a commentary on important issues: animal experimentation would be the obvious one, but Powell also deals with identity, finding a place in society, and the lengths a person will go to after the loss of a loved one. This omnibus also includes the original short story, first published in Interzone magazine, along with an updated ending exclusive to this edition, making it a fine package indeed. 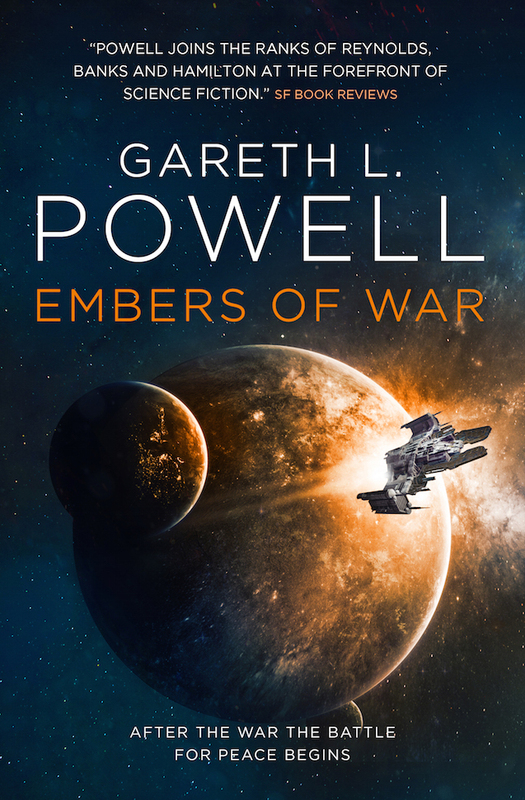 Overall, this is the fantastic romp it would initially appear to be; readers are sure to be entertained, but also intrigued and fascinated by the sheer range and depth that Powell has to offer within these pages. You can read the whole thing on the BFA site, here. 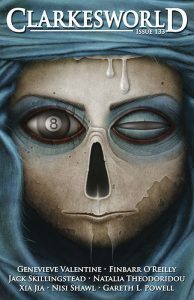 My short story ‘Red Lights And Rain’ is available to read online in the new issue of Clarkesworld. I’m rather chuffed to get a story in this publication. 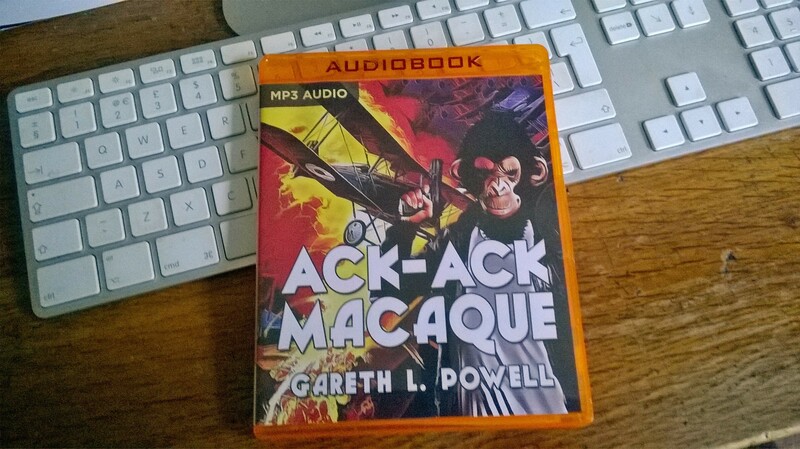 In my August email newsletter, I’ll be runnning a competetition to win a MP3 CD of the BSFA Award-winning Ack-Ack Macaque. If you’d like to be in with a chance of winning, and subscribe to my monthly newsletter, simply sign-up using the form below.